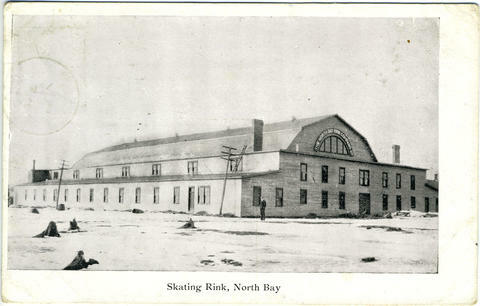 Item 015 - Skating Rink, North Bay. Card is addressed to: Mrs. G. W. F. Harding, 17 Van Ness Ave., Santa Cruz, Calif., U.S.A. Message reads: 7/4/9. This is the 4th but a very quiet Sunday [? s]uppose that [?] was a very big time st S.C. yesterday and one tomorrow will be in Mattawa tomorrow. Lloyd.